--- Doubled chances to win specific weapons! Increased chances for Arms Pack campaign! The chances to win "Two Hand Sword" / "Dagger" / "One Hand Rod" / "Two Hand Bow" / "One Hand Spear" in the Arms Pack sold in the Shop will be doubled! Besides, players will be also gifted 1 Weapon box when you Spin (Open) 10 Spins. ※There are 13 types (Dagger, One Hand Sword, Two Hand Sword, Blunt Weapon, Axe, Hand Gun, Two Hand Gun, Two Hand Bow, Rod,Knuckle, One Hand Rod, Two Hand Spear and One Hand Spear) of Gold Small Box and Silver Small Box. --- Gifting 6-7 stars equipment Box! Get the gift from 10 Spins of "Awaking Arms Pack" campaign! Limited time! One 6-7 stars of each weapon type Gold or Silver Small Box will be randomly gifted by purchasing 10 Spins! Strength your equipments! Pack with the "Rift Stone" and "Each type of Orbs" needed for awaking arms. Awake your Arms at this chance! * 1 item will be randomly gifted from above items by purchasing 10 Spins. --- [All Ranks 4 - 7] Weapon Armor Pack now on sale! The [All Ranks 4 - 7] Weapon Armor Pack with 100% of ranks 4-7 will be on sale. The strongest Rift Stone pack! All of the items on list are Rift Stones! The strongest Evo liquid pack! All of the items on list are Evo liquids! --- The Avatars in the past are back! ! "Collected Avatar Pack" on sale! The Avatars in the past are back! "Avatar Collection Pack" will be on sale! * 1 each portion of the avatars listed above will be won. ＊You may win other items than the above rare items. --- "Guardians of the Sanctuary_Shrine Avatar" on sale! 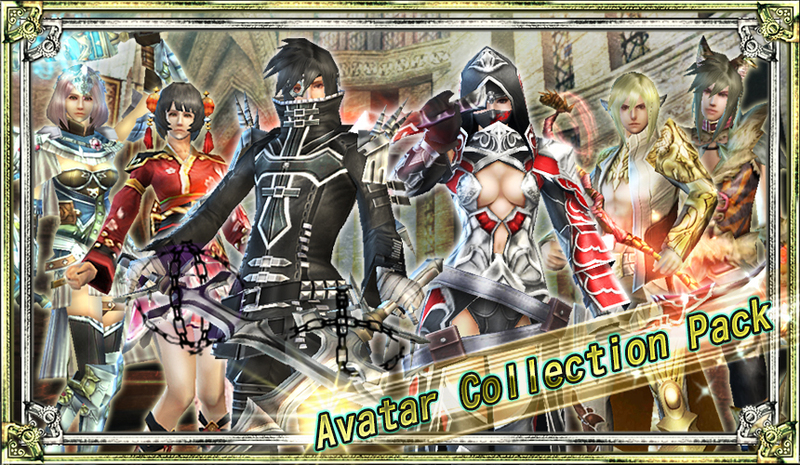 Top seller of the 2014 Avatar selection, the avatar Pack "Premium Shrine Pack" will be on sale starting from today! They will wipe out the evil spirits!! Guardians of the Sanctuary Shrine Avatar! *1 type of color item "A", "B", "GD" or "No mark" will be randomly gifted from the above items types. ---"Premium Rift Jackpot Pack" now on sale! A big chance to win 20 "Rift Stone ∞"s! The "Premium Rift Jackpot Pack" will be on sale! Rift Jackpot bigger than ever! Do not miss this chance!! --- "Rift Jackpot Pack" on sale! A chance to win 10 "Rift Stone ∞"s! The "Rift Jackpot Pack" will be on sale starting from today. The following item(s) and campaign(s) will be closed for sale after the Shop updates held today.